So somebody said, "Dude, you should cut a solo album." Too which Ulrick Lönnqvist replied, "What? Seriously? Me?" Perhaps the conversation didn't go exactly like that. But, nevertheless, the long time Swedish songwriter was persuaded to do so by notable producer Daniel Flores (The Murder Of My Sweet, Find Me). Lönnqvist had been successfully writing songs for others for better than 15 years, why not a solo album. Lönnqvist arrives with the same in the form of Code Red which includes an all-star Swedish cast: Morgan Jensen on guitar (Swedish Erotica), Michael Palace on bass (Palace, Big Time), lead guitarist Oscar Bromvall (Palace, Erika), keyboard player Kaspar Dahlqvist (Shadowquest, Dionysus), and producer Dan Flores on drums. 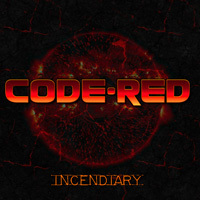 With such personnel and pedigree the Lönnqvist and Code Red sound is easily defined: Incendiary is classic AOR melodic hard rock. The formula is a tried, true, and necessary one. In composition, the songs are built around the venerable characteristics of twin guitar harmony, stirring lead solos, sweet melodies and vocal harmonies, catchy refrains, and vibrant rock rhythm and groove from a tight rhythm section. Additionally, these elements come in a dense texture, that swollen sound that echoes in an arena. Of course, Lönnqvist's voice is at the center of all these things. 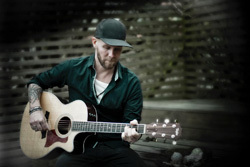 He sings smooth and melodic, with almost effortless passion. To add polish, the tunes are wrapped up in radio-friendly AOR accessibility. Incendiary is a sugar overdose of AOR ear candy. As for those songs, they pretty much all rock, with not a runt in the litter. Surprisingly, there's nothing like a true rock ballad here, though Returning The Flame does move a little softer and slower than the rest. So when producer Daniel Flores said to vocalist Ulrick Lönnqvist, "Brother, you need to record a solo album. It's about time." When Lönnqvist agreed, Code Red was born and, Incendiary, a fine album of classic AOR melodic rock was born. Easily recommended. When producer Daniel Flores said to vocalist Ulrick Lönnqvist, "Brother, you need to record a solo album. It's about time." When Lönnqvist agreed, Code Red was born and, Incendiary, a fine album of classic AOR melodic rock was born. Easily recommended.